A large crowd was on hand in the W. Steward Martin Auditorium on May 14 when Lieutenant Governor John Harvard officially opened the new Dalnavert Visitors Centre. After the opening, people enjoyed coffee, tea and cake, browsed in the gift shop and toured Dalnavert Museum which has re-opened in all its glory. We welcome Dalnavert Museum’s new director, Linda Neyedly, former development officer at the Western Canadian Aviation Museum, who has worked in a variety of communications, public relations and fundraising positions. Hours of operation of the museum, and admission fees, are available here. Display cases in the W. Steward Martin Auditorium in the new Visitors Centre are showing Made in Manitoba, an exhibition by local ceramic artists, some of whom have achieved national and international recognition. The MHS expresses appreciation to the artists and private collectors who have generously made their ceramics available for the exhibition. The Charles Wheeler exhibit will be shown later in the summer. 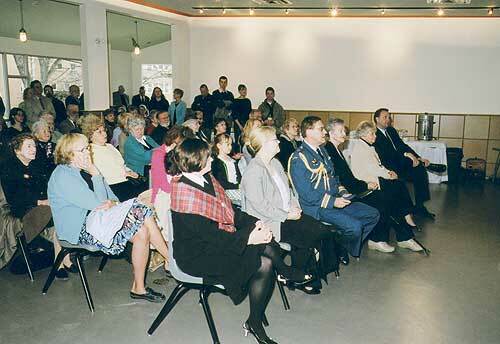 The Doors Open event where Dalnavert and other historic buildings were open to the public was a huge success. 1003 visitors passed through Dalnavert’s doors on Sunday, May 15. Volunteers are needed to conduct tours and to work at the admissions desk and gift shop. In the fall volunteers will be required also for the school program. If you would like more information about volunteer opportunities at Dalnavert please phone Linda at 204-943-2835. Ross House became the first post office in Western Canada in 1855. The first postmaster was William Ross, a son of Alexander Ross, famed Red River fur Trader and historian. 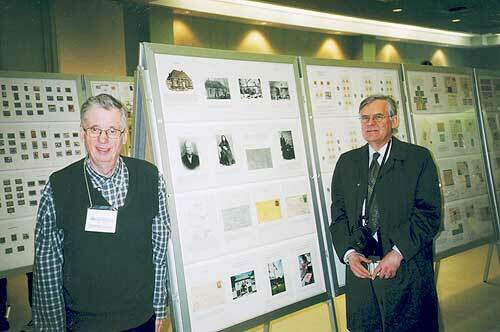 The annual stamp and coin show of the Winnipeg Philatelic Society featured the 150th anniversary of the first post office with special displays. Dr. Harry Duckworth, MHS Vice President, officially opened the show with a short address. Ross House Museum opened for the season on June 1. It is open Wednesday to Sunday from 11:00 a.m. to 4:30 p.m. A major event is the annual Canada Day barbecue at noon on July 1. Following the barbecue there will be two walking tours of the north Point Douglas area conducted by the MHS Historic Preservation Committee. Also, it is hoped that the new interpretive panel outside of the museum will be ready for unveiling at this time. For information please call Victor Sawelo, museum manager or Derek Zorniak, interpreter/guide at 204-943-3958. It seems that everyone is rushing to put the contents of as many books as possible on the Internet. Carnegie Mellon University, for instance, intends to develop an online library of one million books by 2007. The Google search engine is upping the ante with a collection of 15 million books from Stanford University, Harvard University, the University of Michigan, and the New York Public Library, which it plans to have online by 2015. As long as you have a connection to the Internet, no matter where you live, you can have (free?) access to a library that is larger than anything available to Manitobans just a few years ago. As a general objective, I think this trend is good because it will improve access to obscure books which would not normally be found in our local libraries. Unfortunately, many of these projects are not, in my view, realizing their full potential because they are providing access only to “digitized books” rather than to “digital books.” There is a subtle but important difference. A “digitized book” is essentially no different than a set of photographs of the pages in a printed book. You can view a page and read its contents, in the same way that you can take a book off a shelf and read it. This is certainly useful because the digitized book may be one that you would otherwise never be able to find locally. On the other hand, what happens if you want to find specific information in the book? A computer does not “know” what you are viewing on any given page; whether text, diagram, or photograph  all of them “look” the same to a computer when there is just a photograph of the page. Unless the digitized book has a thorough table of contents or index, you must resort to skimming each page. This is not efficient. Surely, this is something that computers should be able to do for us, isn’t it? They can, but they need human help. A “digital book” is much more than a collection of page photographs and it is, therefore, far more powerful. Although its pages may look no different than those of a digitized book, the words are recognized as such by a computer. So if you want to find all occurrence of a specific word throughout a digital book, this can be done easily, usually in a matter of seconds or less. All modern printed books that were created using word processors can be made into digital books without too much effort. But what about books that were published before the age of word processing? The starting point is to take photographs of the printed pages, and this is usually where most of the “million book projects” stop. They produce a digitized book without going to the additional effort of converting them to a digital book. This would require them to use Optical Character Recognition (OCR) software to analyze the image of a page, determine which parts constitute readable text, convert it into letters of the alphabet, assemble these into words, then compare the words to a dictionary to detect misspellings. Ideally, so long as the page image is clear, the OCR software should be able to achieve over 95% accuracy in converting pictures to words. But no OCR software is perfect and if the original page is blurry or, in the case of old books, the letters themselves are not formed clearly, the accuracy drops off rapidly. There is still no substitute for a human editor to fix words which are incorrectly recognized. This incurs time and, of course, expense. That’s why Carnegie Mellon and Google are not creating digital book  they cannot afford it. Efforts to digitize Canadian historical materials have taken both approaches. When Library and Archives Canada put the diaries of William Lyon Mackenzie King online (http://king.collectionscanada.ca), they converted the original typescript into digital files. So you can search the diaries fully. On the other hand, the “Our Roots” project at the University of Calgary (www.ourroots.ca) and the “Peel’s Prairie Provinces” at the University of Alberta (http://peel.library.ualberta.ca) have created mostly digitized versions of historical books and documents. The recently launched Manitobia project (www.manitobia.ca)  a joint initiative of the Manitoba Library Consortium, the Universities of Manitoba and Winnipeg, the Archives of Manitoba, and the Manitoba Legislative Library  has the ambitious goal of putting numerous old newspapers online and has gone to the trouble of making digital copies so, when the site is fully functional, it will be possible to find information without having to laboriously read each and every page of each newspaper. We have been actively expanding the MHS web site by providing the full contents of our publications: the original Transactions (1882-1980), Manitoba Pageant (1956-1980), as well as the current Manitoba History. From day one, we have been committed to making this information available in digital form. Soon, we will enlarge our online library by adding a number of digital books. We are working with the Manitoba Record Society (a “child” of the MHS created in 1960 to publish obscure but important documents relating to our province’s history) to digitize then use OCR on all the books which the MRS has published. It is a lot of work, and it is costly. But we believe the benefit is worth the effort. When this collection is put online, we will turn to making other rare and unpublished manuscripts available in digital format. In so doing, we believe the MHS is furthering its mandate to “promote and encourage public interest in Manitoba and Canadian history” before a global audience. What do you think about making historical information available on the Internet? As always, I am interested in hearing your thoughts, on this or any other matter. I will be travelling frequently in June, July and August, but feel free to leave voice mail for me at (204) 474-7469 or send email to president@mhs.mb.ca. I hope that your summer will be enjoyable. See you in the Fall. We congratulate Kathleen Richardson for being a recipient of Manitoba’s highest honour, the Order of Manitoba. She is a Manitoban who is recognized across Canada for her philanthropy and volunteerism. 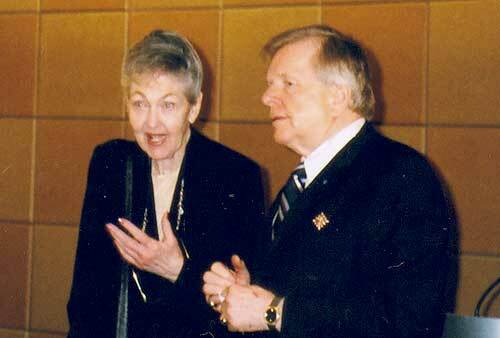 For her dedicated community service, in 1994 Miss Richardson became a Companion of the Order of Canada. Miss Richardson is an honourary life member of the Manitoba Historical Society. She is best known by MHS for her outstanding contribution as a volunteer and supporter of Dalnavert Museum since it was founded over thirty years ago and for her important role in establishing the Dalnavert Visitors Centre. Beryl Joyce Thompson died in Winnipeg on April 16. She and her late husband M. R. (Ross) Thompson were MHS members for many years. 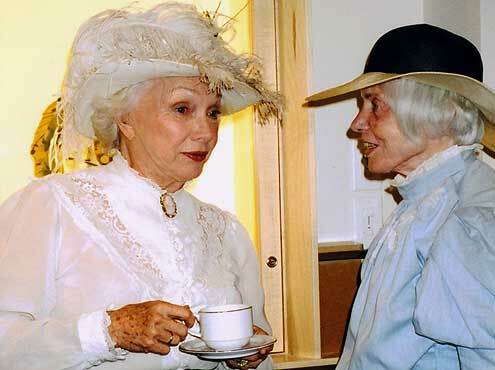 She was born in New Zealand in 1913 and moved to Canada in 1937. She was employed with the Winnipeg School Division as head secretary of Sargent Park School from 1954 until her retirement in 1976. Ruben Bellan, a long-time MHS member died in Winnipeg on April 17 at 86 years of age. He served as in intelligence officer in Burma in the Royal Canadian Air Force during World War II. He obtained his B.A. from the University of Manitoba, his MA from the University of Toronto and his PhD from Columbia University in New York. 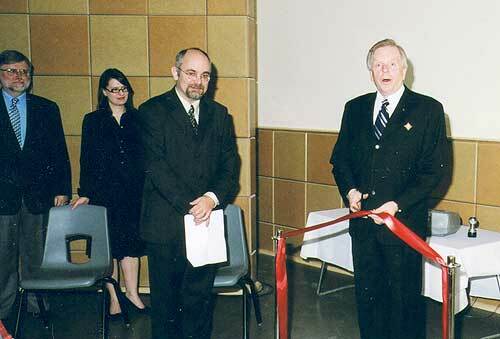 He had a long and distinguished career as a professor of economics at the University of Manitoba and later as Dean of Studies at St. John’s College. He served the City of Winnipeg as a Police Commissioner in the 1960s. He frequently commented on economic issues on radio and television and in the press. He wrote six books including Principles of Economics and The Canadian Economy which went through seven editions. 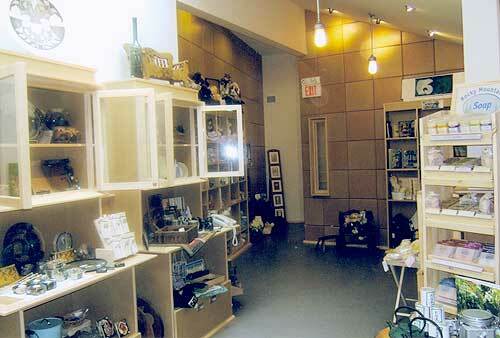 Click here for current membership fees in the Manitoba Historical Society. On May 12th, at Crescentwood Community Club, we were treated to a presentation by local author and rock historian John Einarson. John explained how an out of the way city like Winnipeg - without a significant recording industry - could turn out some of this country's greatest musical talent who have sold well in excess of 100 million records. In the mid 1960s Winnipeg was the Liverpool of Canada and continues to enjoy a unique place in Canadian music history. 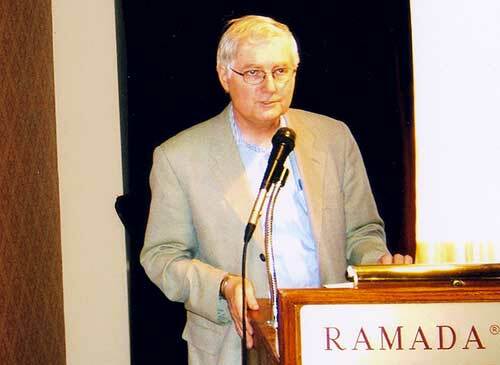 Einarson has written several books on this theme. His latest book, Made in Manitoba, highlights 60 nationally and internationally acclaimed musicians with Manitoba connections. In the recent membership survey, a number of you indicated interest in a History Book Club. I have volunteered to help organize such a group. We would have monthly meetings in the “W. Steward Martin Orientation Room” at the Dalnavert Visitor Centre. If you are interested, please contact me suggesting your preferred time for meetings (morning, afternoon or evening, which day of the week, which week of the month). I will create a contact list (be sure to include e-mail address and telephone number) and I will try to choose the time that meets the needs of the majority. We may form several groups, if required. I will organize the September meeting. Participants will suggest future books and take turns leading the discussion. A small fee may be charged, if required, to cover security at Dalnavert. Please respond to: Judith Hudson Beattie at 204-475-6666 or jhbval@mts.net. Last December’s newsletter and journal mailing also contained a survey for all 512 MHS members and 88 subscribers to Manitoba History. One hundred and thirty-five survey forms were completed and returned. The results were analyzed and compared with the result of a similar survey carried out in 1991 and reported in 1992. 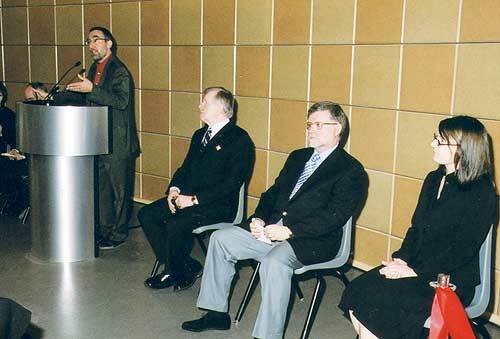 The survey confirmed what had been noticed in 1992: MHS members are dedicated to the Society. More than half reported being members for more than 10 years and that they had joined to support the aims of the Society or to learn more about local history. Only eight percent had joined in the last year, but another 20 percent had been members for one to five years. Members overwhelmingly reported Manitoba History magazine and the Times Lines newsletter as the most popular MHS offerings with a readership of 91% and 85% respectively. Both figures are increases over 1992. Programs (33% of respondents), Dalnavert (30%) and the Macdonald dinner (27%) followed. Almost a quarter of respondents had both worked on a committee or council, and visited the MHS office or library. Participation in Society activities seems to be lower, however. Respondents clearly indicted that they used to go to program nights and annual meetings more in past years than in 2004. When asked what changes were recommended in the programs, though, about ¼ said no change and another 1/3 did not answer, suggesting that program night formats and topics are generally okay. Several surveys noted health concerns, age or reluctance to go out at night, and 11% of respondents asked for more programs during the day, suggesting that age and health and safety concerns may be the root cause of decreasing participation. There were few suggestions for new MHS offerings to its members. Eighteen percent asked for more one-day field trips. Some requested a more frequent magazine (12%) and newsletter (10%). The suggestion to start up a book club was supported by 7%. A question about membership fees provided some surprising results. Only 2% felt fees were at the right level (in contrast to 85% in 1992). Seventy-eight percent thought that fees could be higher with 44% suggesting a $5.00 annual increase was in order. Clearly members value their membership and what they receive for it. The results of the survey are now being studied by the Executive and Council. The full report is available from the MHS office. The Minnedosa Rotary Club is preparing a walking tour brochure focusing on the town’s heritage stone buildings. The 15 to 20 page brochure will feature sketches of the community’s stone buildings by Brandon artist Weiming Zhao and also a history of each building. 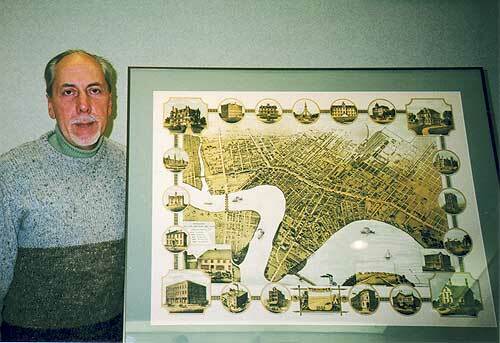 Rotarian John Neabel has been researching the histories for the past eight years. The drawings, original photographs and information about the buildings were on display at the Heritage Conservation Expo in Minnedosa on May 5th. On May 15 the Beautiful Plains Archives committee hosted their first fundraising tour of Neepawa heritage buildings. The tour included the Beautiful Plains Museum, the Margaret Laurence Home, St. John the Baptist Ukrainian Catholic Church, the IOOF Hall and the homes of Ron and Diane Nordstrom, Clay and Linda Hainstock and Tim and Tracy Bergen. 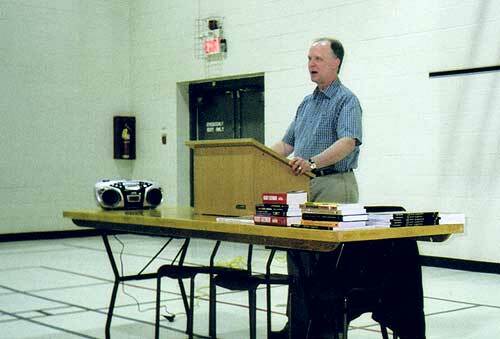 History Seekers is group in the Altona area following an off-campus course by former Canadian Mennonite Bible College professor Adolf Ens. Meeting six times from February to April for he past five years, the group has studied different aspects of Mennonite history, focusing on religion, education and geneology. This year’s classes included guest speakers, Dr. Paul Peters on the village of Gnadenthal and Dr. Hans Werner on early days in Winkler. For more information contact group leader Joe Braun at 204-324-6259. The Royal Canadian Artillery Museum in Shilo recently received a Canadian Military Pattern Command Post vehicle which is one of the last three of its kind in the world.. The vehicle was donated by private owners, Lt. Col. (retired) Joe Greenburg and Bob Cromack of Winnipeg who spent 20,000 hours over five years restoring the vehicle. The vehicle, which was made by General Motors in 1943 in Oshawa, is fully equipped with the correct water and gas cans, Lee Enfield rifles and communications equipment. MHS members hope to see this vehicle on the spring field trip to military museums in Shilo and Brandon on June 11. Boundary Trail Heritage Region Inc. held their annual meeting in Killarney on April 23 to report on activities and to consider a motion to dissolve the corporation. The Heritage Region, established in 1994, is an area in southern Manitoba adjacent to the American border running from the Red River to the Saskatchewan border to promote local heritage, culture and tourism. The motion to dissolve the corporation was defeated and board members pledged to renew their efforts to promote the area through the corporation. 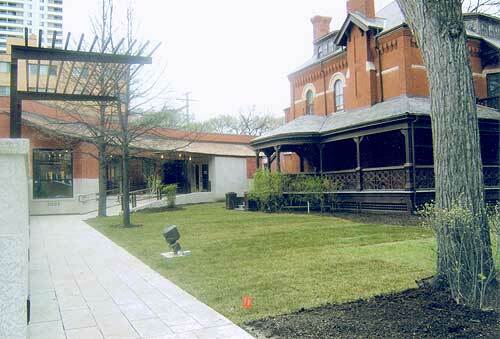 The Intrepid Society (in honouring Sir William Stephenson) will be holding a dinner Thursday, June 21, 2005 at the Masonic Temple (corner of Corydon Ave and Osborne St). For more information contact Steven Place at 204-284-5604. CBC Television is developing a feature on the Winnipeg 1919 strike and is looking for people with information on the topic. Details are given at www.mhs.mb.ca/news/wpg1919strike.shtml. 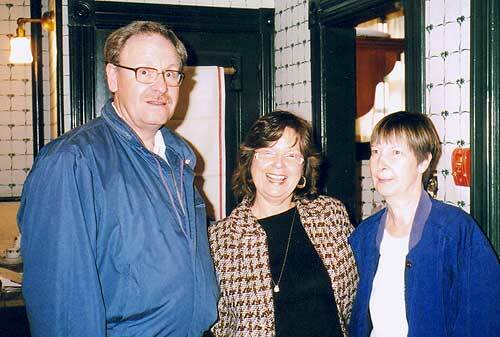 Ms. Sally Harms is working on a history of Winkler for a book in celebration of the town's centennial in 2006. She is looking for any and all information, and can be reached at sharms@mts.net. In June 2005 a memorial statue will be unveled in England to honour Andrew Mynarski, one of Manitoba’s bravest sons. Mynarski was awarded a Victoria Cross posthumously after he died during a bomber mission over France in 1944. Now, with money raised in Canada and in England, the statue has been erected at Teeside International Airport where Mynarski and his crew members took off on their mission over 60 years ago. The St. Norbert Arts Centre launched a website featuring the history of the Trappist Monks on March 20. The new site features photo archives, Jesus and Christianity, Flash animation, a day in the life of a monk, and a question and answer session with a monk. The project was funded through a $40,000 grant from the Canadian Heritage Information network. The Trappist Order moved from St. Norbert to Holland, MB in 1978. Check the website at www.snac.mb.ca/day. 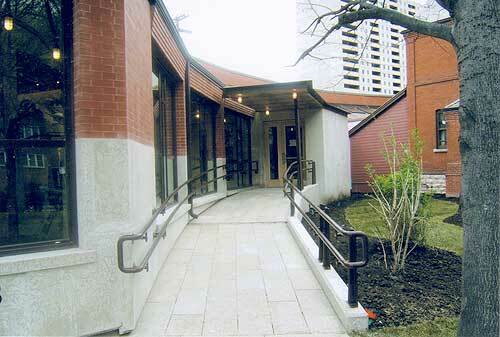 A 5,000 square foot museum has been established at Headingley Community Centre. The museum has memorabilia from old gas stations, a 1926 International Tank wagon, a Model A Ford car and a Model T bus that served as a street bus in Lockport in 1918. Actual gas station and store fronts have been reconstructed. The Winnipeg Free Press reports that Treherne Museum has one of the best collections of guns in western Canada. There are 110 rifles and also pistols and other guns dating back to the early 1800s. The federal government will spend 2.7 million dollars to restore the crumbling walls of the historic Fort Prince of Wales at Churchill. The Hudson’s Bay Co. Depot built between 1830 and 1838 on the banks of the Hayes River at York Factory is at risk because of riverbank erosion but Parks Canada staff have said that there is no feasible way to correct the problem. The Women’s Tribute Memorial Lodge Building located on the grounds of Deer Lodge Centre in Winnipeg will be converted into Manitoba’s first dedicated clinic to help those affected by Parkinson’s Disease, Huntington’s Disease, Multiple Sclerosis and other neurological disorders. The building was built with funds raised by women in Manitoba to pay tribute to soldiers in World War I. It was primarily used by veterans as a recreation hall but in 1986 it became vacant and was not properly maintained. The building is scheduled to reopen in the spring of 2006. A Local History Workshop sponsored by the MHS and Friesens Corporation, will be held at Dalnavert Museum (61 Carlton, Winnipeg). This one-day workshop will provide helpful tips and information on researching, preparing, and producing local history books, and is open to everyone. Further details are available here. Four individuals have been named to the Manitoba Agricultural Hall of Fame. Induction will take place at the William Glesby Centre, 11  2nd St. N.E. Portage la Prairie on July 15 at 1:30 p.m. Each inductee will be honoured with a plaque that will join the 116 already hanging in Brandon’s Keystone Centre. 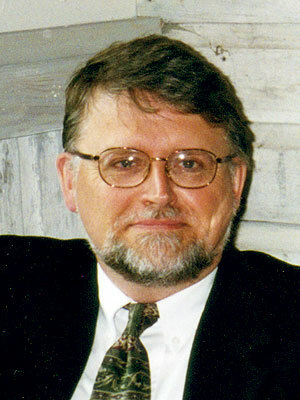 Heinrich Holtmann, now deceased, was chosen for his community leadership and his prize-winning cattle and also for introducing new milk production technologies into Manitoba. As a volunteer with the Canadian Executive Service Overseas he studied and supervised dairy operations in India and Iran. Gwen Parker of Winnipeg was the first executive secretary of the Manitoba Women’s Institute and she held this position for 26 years. 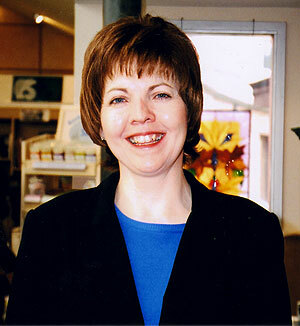 She helped develop programs such as Agriculture in the Classroom, Rural Leadership Training and Manitoba Farm Vacations. Eric Trotter, during his life a community leader in the Belmont area, is remembered for his work with the 4-H, Boy Scouts, IOOF Lodge, Red Cross and Pelican Lake Agricultural Society. Ted Poyser of Winnipeg published early soil reports for the Manitoba Soil Survey, helped develop the Manitoba Crop Insurance Program and was co-ordinator of the Agriculture and RuraL Development Act (ARDA) Fund for Rural Economic Development. Click here for a current list of Centennial Farm recipients. I just want to let you know that Jackfruit Press has published the first book in our series on Canadian Prime Ministers: Sir John A. Macdonald: The rascal who built Canada. The book is aimed for children ages 9 to 14. I am one of the researchers for Jackfruit Press, and I can say that we have done a lot of work to make the book exciting and educational, as well as being historically accurate. It is very different from other Canadian history books for kids, and our plan is to publish a biography of every Canadian Prime Minister, including Joe Clark, John Abbott and John Turner. We are in the final stages of preparing books for books on Laurier, Mackenzie King and a few others. The printing is being done in Winnipeg, and we expect to see the John A. book in stores like Chapters by the end of April. Feel free to contact me at peterk@jackfruitpress.com or visit our website www.jackfruitpress.com for more details. The Manitobia.ca project is a first major initiative of the Manitoba Library Consortium and its partners to gather and render accessible a wealth of historically significant documents and publications free of charge to Canadians, young and old. The Consortium, an incorporated non-profit organization of Manitoba libraries, provides leadership by planning and managing projects and resources so Manitobans can enjoy equitable access to the library and information resources of the province. To underscore the Consortium's long term goals, Manitobia was coined by marrying two words: Manitoba, the keystone province located in the heart of Canada, and Utopia, signifying an ideally perfect place, state, or condition. The ambition is that Manitobia.ca becomes synonymous with a perfect place in which to find information about the province and its people, synonymous with a rich archive of newspapers, first-hand accounts from letters, memoirs and diaries, drawings, maps and photos - all of which record the early development of the province. Lesson plans were developed specifically for Manitoba educators but the guides can be useful for educators nationally. These lesson plans were developed by curriculum consultants using the curriculum guidelines of the Manitoba Department of Education and the Bureau de l’éducation française. Lesson plans are available for both English-language and French-language streams and teachers are encouraged to view lesson plans from both streams to cull even more ideas. Grade 4 students will examine the geographical impact of the early Red River Settlement and the contributions of diverse cultural communities in the Birth of Manitoba. Grade 6 students will examine the controversy between private and public schools in the Manitoba Schools Question. Senior 3 students will examine the development of trade unions and labour movement through the Strike! 1919  The Winnipeg General Strike. Educators are encouraged to use what is appropriate for their particular group of students, as each class or group of students demonstrate different needs and varying learning styles. Manitobia.ca is an excellent resource on some topics of Manitoba history. It deals specifically with six historical themes that are studied in the Manitoba school curriculum: Birth of Manitoba (1870), World War I, Immigration and Settlement, Winnipeg General Strike, the Manitoba School Question and Women Win the Vote. Summaries and archival resources, especially newspapers and photographs are accessible on the web page. Other resources such as maps and biographies are listed but are not yet available. On May 12 a plaque was unveiled commemorating Ralph Connor House at 54 West Gate in Winnipeg as a building of provincial historic significance. It is occupied by the University Women’s Club. The house was built in 1914 as a home for the Reverend Dr. Charles Gordon. Rev. Gordon (18601937) was a Presbyterian minister and a novelist writing under the name of Ralph Connor. He and his wife Helen raised their six daughters and a son in this house. The original cost of the structure was $50,000. The architect, George Northwood, was instructed to build an Elizabethan House appropriate for an English gentleman. The house, situated on the Assiniboine River, has a circular driveway and wrought iron gates. The exterior is probably best described as Jacobean. The original portico protecting the front entrance was removed when it became unstable. The formal interior has leaded glass windows and beamed ceilings. With the exception of the dining room, the paneling is oak. The Ralph Connor Room which has an excellent collection of Ralph Connor books has a unique fireplace with reproduced Moravian tiles depicting biblical scenes including, among others, Cain and Abel. The tiles for the fireplace and those in the fireplace in the lower lounge were made by the Pennsylvania Dutch. 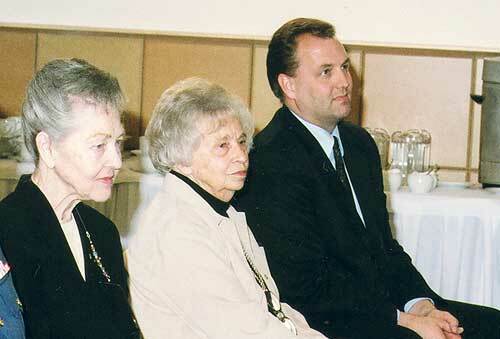 The Margaret McWilliams Awards were presented on April 3. A complete list of recipients is available here. 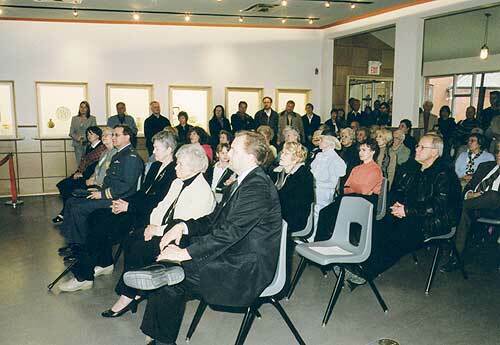 Centennial Organization Awards were initiated in 2004 to commemorate the 125th anniversary of the Manitoba Historical Society. They acknowledge non-profit and not-for-profit groups that have operated continuously in Manitoba for 100 years or more. This program complements our existing programs recognizing longevity in farms and businesses. Lower Fort Garry is celebrating its 175th birthday this summer. Step back in time to the 19th century fur trade at the oldest stone fur trading post still intact in North America. Stone walls encircle the fort's enclosure, the largest group of original 19th century fur trade buildings in Canada. Costumed interpreters will take you back to the mid-1800s as they re-enact events of the early days of this Hudson's Bay Company post. Programs offered to visitors at the fort this summer include trade and craft demonstrations, theatrical presentations, children’s day, family day and senior’s day. Special programs celebrating the anniversary will take place every Saturday. Lower Fort Garry National Historic Site is also commemorated as the place where Treaty #1 was signed between the Ojibwa and Swampy Cree of Manitoba and the Crown. The signing will be commemorated on August 3. Lower Fort Garry National Historic Site is open to the public daily from May 15th to Labour Day, from 9:00 a.m. to 5:00 p.m. The Lower Fort Garry Volunteer Association is planning a reunion of the descendants of HBC employees and settlers from the Red River Settlement and Lower Fort Garry. This will be part of the celebrations of the 175th anniversary of Lower Fort Garry National Historic Site during 2005-2006. If you are one of these descendants or you know someone who is, please contact the Committee Chair, Barbara Gessner, at Box 394, Selkirk, MB R1A 2B3 or by e-mail at: rr.reunion@3web.net or see our website for more information and registration forms: www.redriverdescendantsreunion.org. Anticipated activities for the reunion include: activities, bus tours, entertainment, meals, etc. The grand reunion will take place on the last day. A registration fee covering some activities will be charged. Also, if you would like to help in the preparations or fundraising for this reunion, please contact Barbara Gessner at the address above. The Lower Fort Garry Volunteer Association is organizing the reunion for August 13 to 21. For further information, call 877-534-3678. A five year restoration project at the Canadian Museum of Rail in Cranbrook B.C.has brought the Oak Grill (later known as the Selkirk Dining Room) of Winnipeg’s former Royal Alexandra Hotel back to life. Atlas Wrecking had been contacted to demolish the hotel and dispose of its contents. Allan Stern, a business partner with Alec Billinkoff of the wrecking company, was involved in the disposal of the contents. Before the hotel was demolished in 1971 the restaurant was carefully dismantled and saved by Allan Stern and his wife Donni. Detailed photographs of the restaurant were taken. Various pieces were labeled and coded to facilitate reconstruction. The Sterns stored the contents in a semi-trailer unit for 25 years. In 1996 the contents were sold to an antique dealer in Duncan B.C. who sold them to the museum in 1999. The room was re-erected for $600,000 in a shell that cost $3.6 million to build. Gary Anderson, the executive director of the museum in Cranbrook, recently spoke about the project at the Winnipeg Railway Museum. 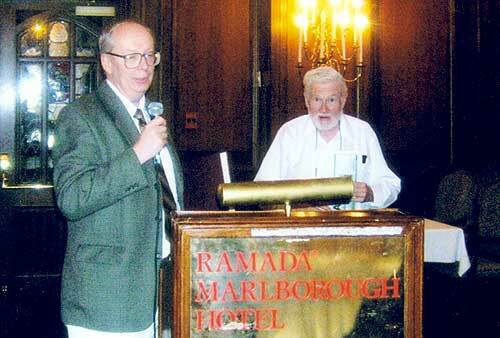 The MHS Annual General Meeting was held in the Ramada Marlborough Hotel on June 4th. MHS vice president Harry Duckworth chaired the meeting. The president Gordon Goldsborough and first vice president Jack Bumsted were out of town. Committtee reports and the auditor’s report were distributed. Treasurer Ken Zealand expressed concern about a decline in revenue through donations to the Society. One item of interest, amendments to the MHS constitution, was not presented at AGM but was delayed until a special meeting for members is held some time in the fall. Steven Place’s report on the Nominating Committee is summarized on the back page of this newsletter. A luncheon followed in the hotel’s Churchill’s Dining Room. Past President Steven Place presented the Douglas Kemp Award to Jim Blanchard for his outstanding contribution to the Society over the past several years. In addition to completing his term as president Jim has chaired the Margaret McWilliams Award Committee and he is now co-chair of the Dalnavert Management Committee. He also edited a book, A Thousand Miles of Prairie, containing a selection of Transactions  learned papers presented at meetings of the Society in earlier years. Jim Blanchard introduced the guest speaker at the Luncheon, Bruce Cherney, Editor of the Winnipeg Real Estate News and the author of numerous articles on heritage topics. Mr. Cherney’s interesting address was on “Early History of Winnipeg’s Hotels” Allen Kear thanked the speaker. 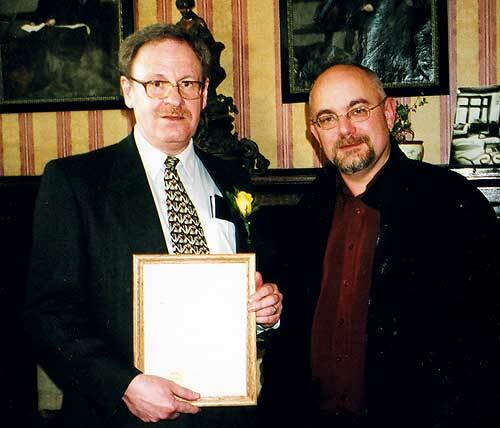 Friends and family gathered at a reception at the University Women’s club on March 24 to honour Tim Worth on his retirement after thirty years as Curator of Dalnavert Museum. In appreciation for his dedicated service Tim received a cash gift, a framed historic photo and an honourary life membership in the Manitoba Historical Society. Now that the Dalnavert Garden area is twice the size, we need twice the number of plants. Garden centres have responded and many donations have been received. If any MHS members would care to give a plant, either from your garden or by purchase, it would be greatly appreciated. Plants suitable for a 1895 garden are: Shasta Daisy, Phlox, Delphinium, Peony and Yarrow. Suitable shrubs are: Spirea, Choke Cherry, Hydrangea, Honeysuckle and Dogwood (red stem). If you wish to provide any of the above plants or shrubs please phone Kathleen Campbell at 204-489-4400.